Wakodhatchee Wetlands, FL, March 20, 2004. We saw a number of waders in breeding plumage today. 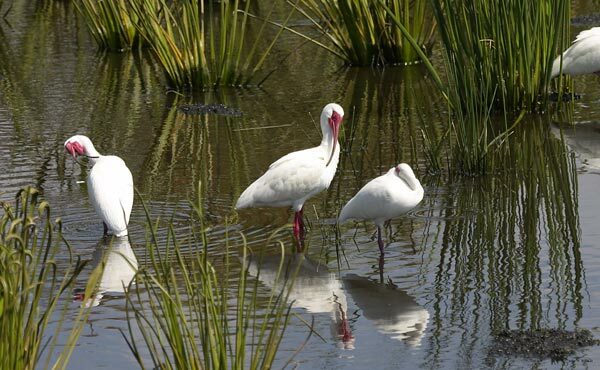 The contrast between the red bills and white feathers made these Ibis particularly striking.